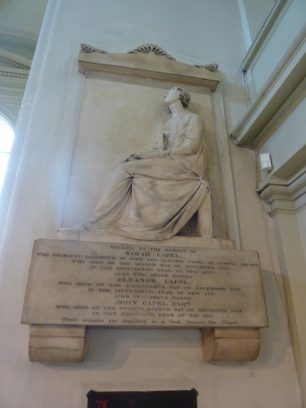 There are a number of handsome commemorative plaques in St John’s Church, some by leading sculptors of the day including ones by Sir Francis Leggatt Chantrey (1781-1841), Samuel Nixon (1803-1854), and Edward James Physick (Senior 1810-1842; Junior 1829-1906). 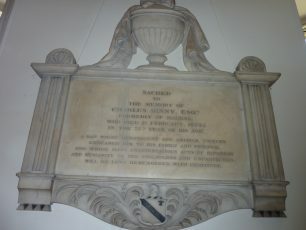 Several are memorials to men who, having made their fortunes in the colonies, decided to return to die and be buried in England. One such plaque commemorates the “benevolent and amiable virtues” of Charles Binny Esq. Sacred to the Memory of CHARLES Binny Esq. 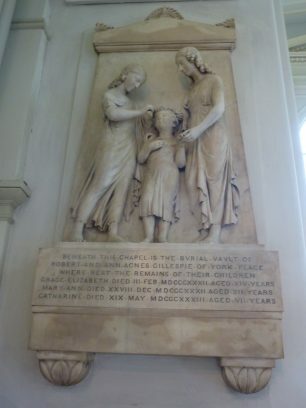 Formerly of Madras Died February 2nd 1822 in the 75th year of his life A man whose benevolent and amiable virtues endeared him to his family and friends and whose many unostentatious acts of kindness and humanity to the friendless and unprotected will be long remembered with gratitude. Charles Binny (1747 to 1822) came from Scottish farming stock, his father being a farm manager from Angus. He died a very rich man who could afford not only a handsome commemorative plaque, but also a portrait of himself and his two daughters by Sir Thomas Lawrence – the most fashionable portrait painter of his day. Lawrence replaced Sir Joshua Reynolds as Principal Painter to the King (George III), and painted not only the King, but also most of the crowned heads of Europe. 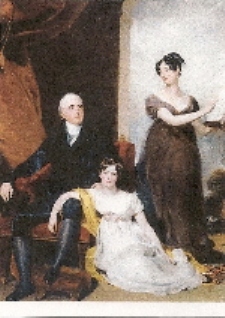 By 1822, when the Binny family picture was painted, Sir Thomas was at the height of his career, having been knighted by the Prince Regent and become President of the Royal Academy. He was commanding 600 guineas a time for a portrait. It is said that the British went to India to make money, and came back with fortunes. Charles Binny must have returned to England an extremely rich man, well able to afford to help family, friends and the “friendless and unprotected”. Charles made his money serving the Nawabs of the Carnatic. They were provincial governors of a massive area of South India which included Madras (now Chennai). 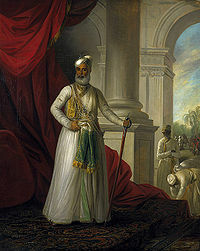 In 1769, when Charles was about 22 years old, he arrived in Madras to serve as English Secretary to Mohammed Ali Khan Walajah, the penultimate Nawab of the Carnatic. Charles worked for the Nawab until the latter’s death in 1795. Mohammed Ali was an anglophile who enjoyed an excellent relationship with the East India Company. He ruled the Carnatic for over forty years, and sided with the British against the French to gain control of South India. He is now described as the most celebrated of the nawabs, and praised for being a very religious person and a philanthropist. The British seemed fond of their ally, albeit in a slightly patronising way. Thus, in 1781, Sir John Macpherson, later Governor-General of India, wrote to Lord Macartney, Governor of Madras, declaring, “I love the old man … (re)mind me to my old Nabob. I have been sending him sheep and bags of rice by every ship. It was more than he did for me when I was fighting his battles”. 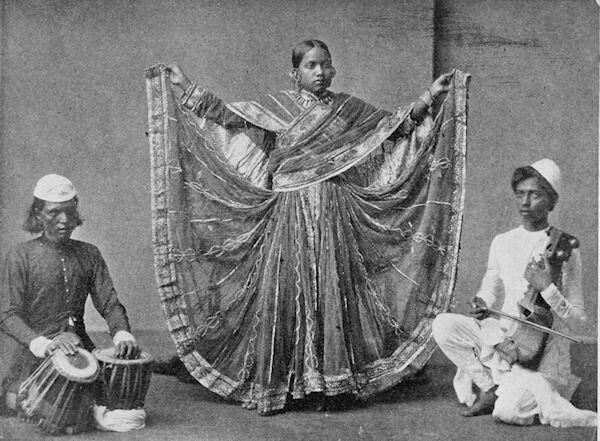 The Nawab was described as “courteous, immensely hospitable, always emulating English customs and manners, such as taking breakfast and tea, and sitting on chairs rather than cushions”. 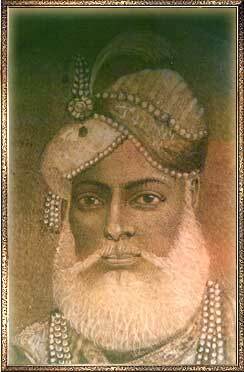 He enjoyed money and was generous with it, funding hospitals, mosques, temples, churches and scholarship. He also enjoyed a lavish lifestyle. His enormous and expensive new palace – Chepauk – was finished just before Charles Binny arrived in Madras. It was set in 121 acres and was designed for him by Paul Benfield, a military engineer. 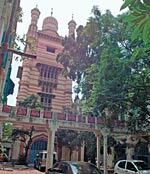 It was funded by money borrowed at high interest rates from Benfield and other Englishmen who encouraged the Nawab’s extravagances, and made their fortunes from them. The Chepauk complex comprised a series of pavilions with “a profusion of turrets, domes, arches, tall windows, intricately patterned wooden grills and balconies”. The palace was set among lakes and gardens in vast grounds leading down to the sea-shore. The Nawab enjoyed moonlight tamashas with nautch and singing girls, and entertained with tigers, bears, camels and horses. He even staged wrestling matches. Charles would have been invited to participate in some of the exotic entertainment on offer. The palace is said to be the first example of the Indo-Saracenic style of architecture which combines Byzantine, Moghul and Hindu elements. On Mohammed Ali’s death in 1795, Charles returned to England to become confidential correspondent and London agent to Umdat-ul-Umbrah Bahadur, the son of Mohammed Ali and the last Nawab. However, Umdat’s rule was brief (six years). Because of the enormous debt his father had accumulated, the British had already taken the land surrounding the palace from the Nawab, and in 1801, having turned from traders to imperialists, they sent troops to the palace to remove Umdat himself, and take the palace over. 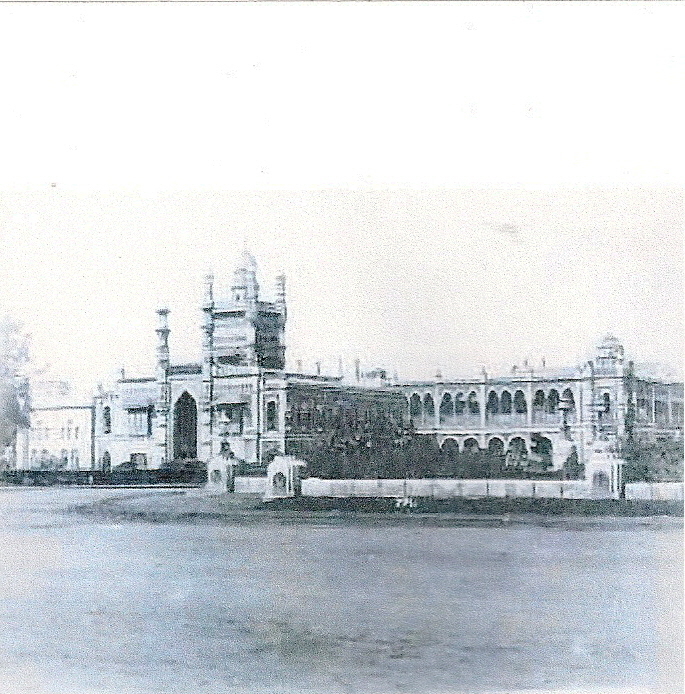 Many years later, part of the palace grounds became the home of the MCC – the Madras Cricket Club. It was founded in 1846, less than sixty years after the Marylebone Cricket Club. It became a Test Cricket ground and is now known as the M A Chidambaram Stadium. Although the Nawabs had done a massive amount to help the British get a foothold in India, they were not reinstated till 1868 when Queen Victoria granted Azim Jah (an uncle of Umdat) the title of First Prince of Arcot. With the title went the all important tax-free pension in perpetuity! 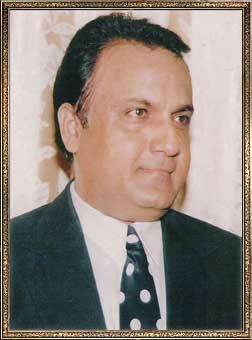 The title continues to this day, the current incumbent being Nawab Mohammed Ali, Eighth Prince of Arcot (1993 – present). Notice of the death of “Charles Binny, formerly of Madras”, was placed in the Times on Tuesday 5th February, 1822. 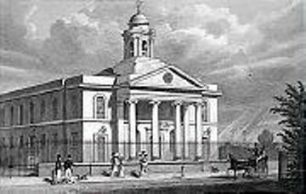 It stated that Charles had died in Howland Street, which was not very far from St John’s Wood Chapel, as St John’s Wood Church was then known. This page was added on 14/03/2011.